Last October 23, 2009, the nation's biggest bookstore formally launched the "My Moleskine Exhibition" that showcases the great diversity of talents, creativity and innovation of contemporary artists based in Asia. Thirty-four artists from the fields of design, photography, painting and music used the Moleskine notebook as their new canvas to freely express and showcase their inspirations and artworks or to share a more intimate side of their work. Their works are presented in the exhibit and visitors can freely flip through the pages of the Moleskine notebooks to view their art. The My Moleskine Exhibition will be on display at NBS Glorietta 5 from Oct. 23, 2009 to Nov. 30, 2009; NBS Rockwell from Dec. 1, 2009 to January 22, 2009; NBS Trinoma from Oct. 23, 2009 to Jan. 22, 2010; and Bestsellers Robinson’s Galleria from Oct. 23, 2009 to Jan. 22, 2010. Along with the exhibit, Moleskine and National Book Store also launched "My Moleskine Open Call Manila", an art competition which aims to promote and emphasize the strong association between Moleskine notebooks and artistic expression. It is an opportunity for Filipino artists to show off their own creativity by scribbling or doodling them on Moleskin notebooks. The winner of "My Moleskine Open Call Manila" will receive P25,000 worth of gift certificates from National Book Store and the best entries will represent the Philippines in the "My Moleskine Open Call Shanghai 2010". They will also have a chance to be part of the permanent roster of Moleskines being showcased around the world. Entries to My Moleskine Open Call Manila can be dropped at participating NBS branches until December 15, 2009. 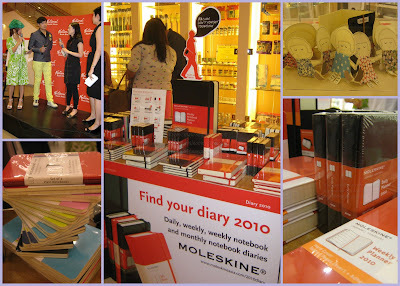 Moleskine notebooks are available at select National Book Store branches at a 10% discount until January 22, 2010. Follow National Bookstore on Facebook, Friendster and Twitter or go to www.nationalbookstore.com for details. • Entries to “My Moleskine Open Call Manila” need to consist of any original Moleskine notebook with any writings, drawings, doodles, photos or other attachments in the notebook. Participants are free to use the notebook in whatever way they deem fit. • All entries must be dropped before December 15, 2009 at any National Book Store branch and must be accompanied by a duly signed and completed Contest Rules and Entry Form. • All entries shall automatically be the exclusive property of National Book Store, Inc. (NBSI) and may be used, copied, reproduced and/or reprinted by NBSI into any size or medium for exhibition, advertising, promotion, publication or whatever purpose whether for profit or not. Contest participant further allows NBSI to use his/her name and/or image/picture/likeness without limit in conjunction with his winning entry. • Final judging shall be on December 18, 2009 at the head office of NBSI at 125 Pioneer Street, Mandaluyong City. 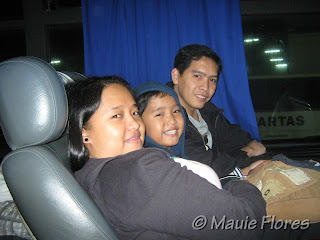 • Top prize shall be twenty-five thousand pesos (P25,000.00) worth of National Book Store gift certificates and a roundtrip ticket to Shanghai to attend the opening of myDetour Shanghai Exhibition 2010. • Criteria for judging shall be: 50% Creativity, 25% Originality and 25% Execution. 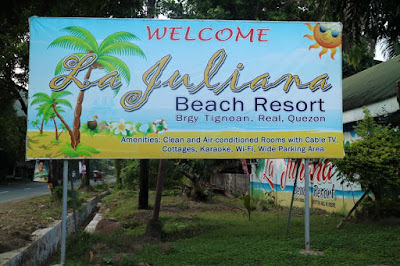 • Winner, who shall be notified by registered mail, must present the original Notification Letter and a valid original ID (birth certificate, passport or driver’s license only) to claim their prize. • All prizes are non-transferable and non-convertible to cash. • The decision of the board of judges with regards to the winner is final. • All employees of NBSI and Working Unit, the board of judges and their relatives up to the 2nd degree of consanguinity or affinity are not allowed to join this promotion. • In case of doubt, the decision of NBSI shall be deemed final. Hello I'd just like to ask what the mechanics are for the contest? I can't seem to find it online, this is the only link related to the contest..
Hi Hannah! Thanks for pointing this out. I already asked about the mechanics from the organizers. Please refer to the updated post. Good luck!